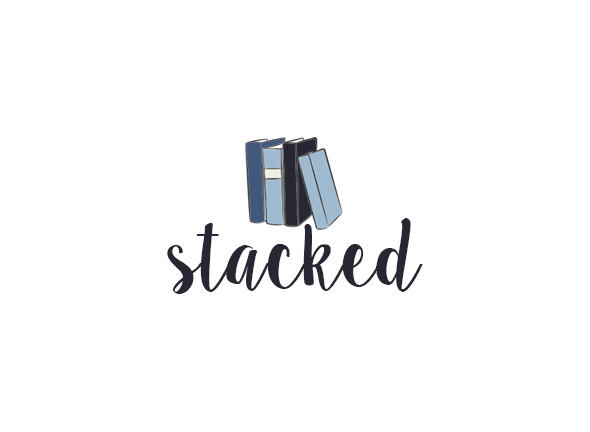 Today we have a guest post from Kelly Jensen, one of the three librarians behind Stacked. When she's not reading or blogging about YA books, she watches obscene amounts of reality television without shame. But here’s a secret: you can pitch your book effectively and get it noticed more easily by bloggers through a few simple steps. In a given week, I’d guess I receive at least 20 or 30 pitches, and I bypass almost every single one. While it makes me sound like a stingy blogger, it’s actually because most pitches fail to take five minutes to do this right. If I’m spending a few days reading a book and then a few hours writing a review, all I hope for is that the author has spent a few minutes making sure I’m the right person to pitch to and then tailoring that pitch to grab my attention. I was checking out your blog and also your guidelines for submitting books for review, and I couldn’t help but notice that you all listed writers you love who share the same agent with me (A.S. King, Sara Zarr, Nova Ren Suma), so maybe you’d be interested in my latest book, The Right & the Real. It actually came out in April, so perhaps an ARC already crossed your desks and it wasn’t right for you, but if you do want one, I have one ARC left that I’ve been wondering what to do with. First and foremost, Joelle says that she read the guidelines for submitting books for review (by reading our review policy) and not only did she note we had a review policy, but she noted that the authors we list as favorites are those with whom she shares an agent. She then offers an ARC and gives a call to action (let me know if you’d like to read it), followed by a link to the book trailer so we can find out more. The pitch is straightforward, doesn’t try to oversell the book with fancy (and empty) language, and shows that the author spent at least a few minutes reading our review policy and learning what our reading preferences are. Without a doubt, this is a pitch I was not only accepting, but because of the attention to detail in the pitch letter -- which again, I emphasize is rare -- I bumped this book up my to-read list. Hello blogger -- I love your site it is just so great and I read it all the time!! I just self-pubbed an ebook and attached it to this email. It’s called the Wizards Babies of Vampire Dreams and has gotten sixteen 5-star ratings on Goodreads. It’s a paranormal romance with a lot of science fiction elements and will appeal to readers from age 10 to age 19, especially if they like John Green. I LOOK FORWARD TO WORKING WITH YOU. -- Author Q. Now as I dissect this, I want to make clear that what I’m pulling out as problematic elements are sometimes only that way because of my review preferences, but others are more global/applicable to other bloggers. First, aside from the phony introduction about loving and reading my site, this pitch did not spend any time reading our review policy. We do not read ebooks, and we spell out that we delete any email pitches that include the ebook as an attachment. We also state that we do not accept self-pubbed books, except by those authors with a proven track record -- something this pitch fails to address. Tell us if you’ve published anything before and what. Then there’s the matter of the book being a paranormal romance, which we don’t accept, either. Perhaps the added bit about “with a lot of science fiction elements” is meant to address our request that pitches for paranormal romance bring something different to the table, but I suspect not. Rather, I suspect that’s the case of the author not knowing the market at all, and I pull that from the following sentence in the pitch, which suggests their book is good for readers “from age 10 to age 19, especially if they like John Green.” Rarely is a YA book good for that wide an age range, and I have a hard time believing a paranormal romance is going to appeal to Green fans. I haven’t touched the part about garnering 5-star reviews on Goodreads because enough of the pitch failed to tell me anything already. There’s actually nothing inherently wrong in this pitch, aside from a clear lack of understanding of YA fiction. For a “bad pitch,” though, it’s decent. There’s a call to action, via the book being attached to the email. There are plenty of bloggers who love self-pubbed books and ebooks and paranormal romances. But this book? It’s not for my blog. This pitch hasn’t been targeted or tailored and as a result, the author’s time and mine has been wasted. Had this author read our review policy -- where it’s likely the author found our email address anyway -- time and frustration on both ends would have been saved. The blogging world is huge and overwhelming and getting to know every blogger your book might be a good fit for is a major undertaking. But the truth is, you don’t have to know it all. If you can hit just a handful of blogs that are right fits for your book, the impact could be far greater than hitting every blog out there and hoping to hit something. Because here’s the thing: a good book speaks for itself. If I’m pitched a book, accept it, and the book resonates with me? I’m going to talk about it. I’m going to encourage other bloggers I know to read it so they may blog about it too. Boom. 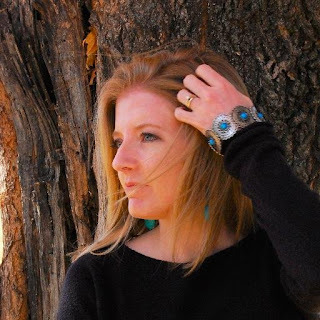 The time it took an author to connect the right book with me then pays off greater because their name is now on the radar of bloggers I know will have similar reactions to me. 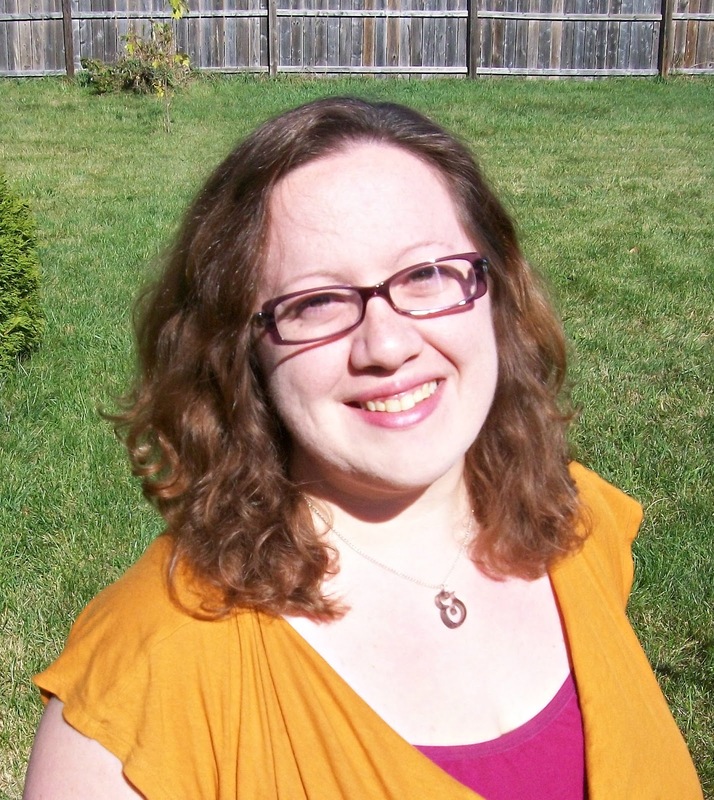 So how can you best reach a bloggership that meets your book’s needs? I polled a wide swath of bloggers to compile this list of general Dos and Don’ts. Not everything is going to be true of every blogger, so take this as it is -- suggestions. Read a blogger’s review policy thoroughly. Bloggers spend a lot of time writing them, and they are there to help YOU. Understand that your pitch may never get a response. It’s not personal. Address the blogger personally. This isn’t always necessary, but the bulk of bloggers who responded said that personalization makes a difference to them. If you’re already reading a blogger’s review policy, adding their name/s to an email isn’t hard. Make sure you spell it right, too. Tell us what the book is about! A short description works, and you don’t have to reinvent the wheel. You should also drop a link to your website or book trailer. Provide enticing information in the body of the email, and then give more via linkage. Include the publication date and the publisher (including whether or not it’s self-pubbed). Tell us what formats the book is available in -- print only? print and ebook? Ebook only? Audiobook? Some bloggers like cover images and page counts, too, so include those as well. Tell us who you are. Nothing long or in depth. But if you’ve published before, tell us what! If you’re a debut, share that, too. Express why you think your book is a good fit for that blog. This is the bit that proves you spent any time on that blog at all. Do all of the above, but keep it short. Two or three short paragraphs should cover it all. Have a call to action. Emailing to announce your book isn’t effective. Do you have ARCs or do you have a publicist we should contact if we’re interested? A link to where we can read it online? Spell it out in the pitch. Pitch bloggers anywhere but via the provided email address. Pitching on Goodreads, on Twitter, or on Facebook is not interaction, but spam. Show off reviews from others unless they are professional reviews (linking to Goodreads reviews doesn’t tell anything to a reader; linking to a review from Kirkus might). Attach your ebook to the pitch email until the blogger has accepted the pitch. Repeatedly email the blogger and ask if: a. they received your pitch, b. they plan on reviewing your book, and/or c. when they are reviewing it. Link the blogger to where they can purchase your book for review. Bloggers purchase the book after they’ve reviewed it, not in order TO review it. Compare your book to those outside the genre in which you’re writing unless you’re certain they’re comparable. Don’t pitch your book as the next Twilight or Hunger Games. It’s not. In short: be careful with your comparisons. If you’re going to do it, make it blog-specific (I know you liked x book and y book, and I think you’d like mine because of that). Bloggers want to spread the word about good books, and bloggers can help get your name out there, if you’re willing to do the work of approaching them right. Remember: a few key blogs noticing your book will end up being as important -- if not more important -- than hitting up every blog out there and getting a lukewarm response. Take these tips and examples to get your book in the hands of those right bloggers for it. 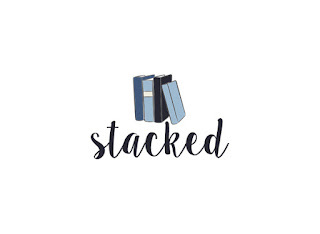 To find out more about Stacked's reading interests, see their review policy. YA Highway regrets that we are unable to accept unsolicited review requests. As a blogger (and a former PR person who had to pitch bloggers a lot), I whole-heartedly agree that the best way to get someone's attention is to understand their blog and be familiar with their blog and tastes. I know it's way more work than blanket requests, but the success rate will be so much higher this way. We even made an exception to our "we don't post cover reveals" policy recently because the author made such a well-tailored pitch and made it clear that she understood our blog and had an angle in mind that would make it fit for us. Sarah, that's a big thing for me, too, and something I think authors/publicists pitching should be aware of. There are possibilities of bending our own review policies. It just requires personalization, and a good pitcher can angle their pitch to get a yes, even when it might otherwise be a no. Review policies are great and really help you as a blogger determine where to draw lines. It works both ways, too, in that it helps those who want to connect with you as a blogger know how to do so. LOVE THIS! I've been receiving several rather inappropriate emails from writers who obviously haven't even looked at our blog to see what exactly we write about. For instance, if you just click on our page it is pretty clear that we don't review Westerns. We don't want to offend (Why, when they clearly didn't care about offending me is another story) so our replies are generally neutral (AKA a gentle brush off). Look, we get it. We are writers too and we love that people are reading our blog and asking for our opinion, we just wish people researched before clicking send.